dopl3r.com - Memes - This whole ligma trend is so stupid Like seriously. It sounds like something from 2014. HAHA LIGMA BALLS LOL GET IT? Share BEST COMMENTS H3315666 8h True only sugandese people find it funny Reply 8 grghearn ρ.8h Whats sugandese? This whole ligma trend is so stupid Like seriously. It sounds like something from 2014. 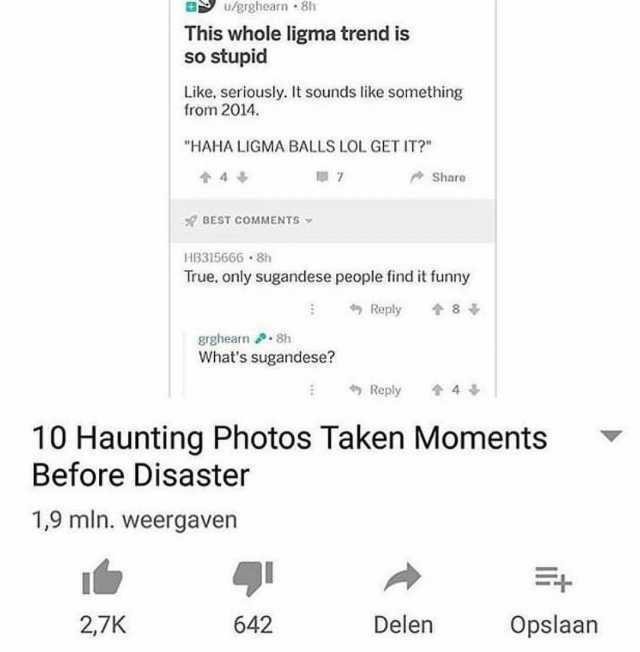 HAHA LIGMA BALLS LOL GET IT? Share BEST COMMENTS H3315666 8h True only sugandese people find it funny Reply 8 grghearn ρ.8h Whats sugandese? AltEPA @ActualEPAFacts AltER If you are a vegan crossfitter who has never watched Game of Thrones which thing do you tell people about first?